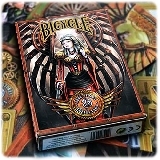 A beautiful Steampunk themed Poker Size Bicycle Deck produced by the United States Playing Card Company to designs by the very popular & talented fantasy artist Anne Stokes. 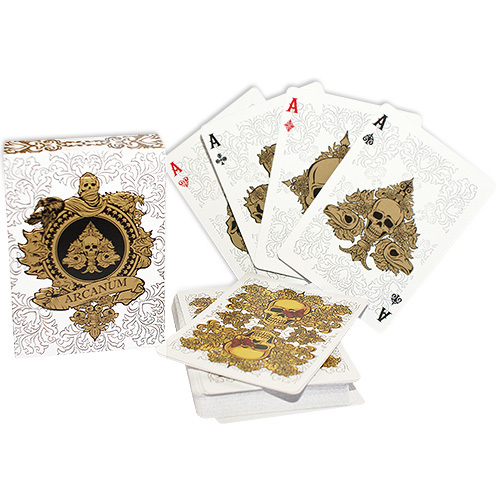 Every card has been customised with the suits having colour coded backgrounds: - Grey for Spades, Rusty Orange for Diamonds, a Green/Brown tone for Clubs and a Darker Green for Hearts. 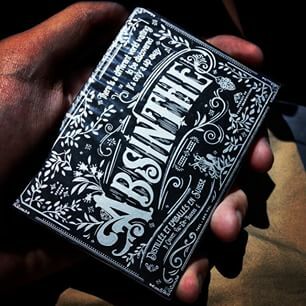 This means that there is a slight coloured banding to the deck when seen edge on, could be useful to magicians... 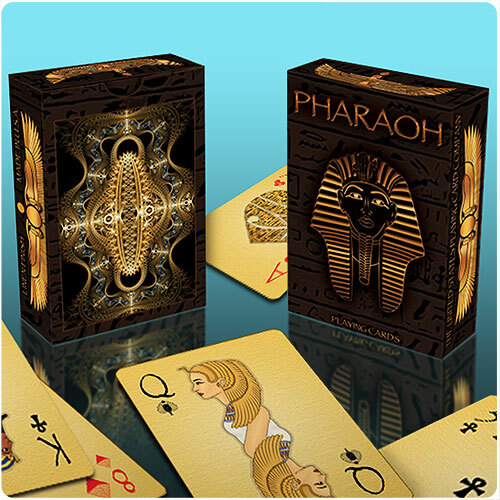 The Pips have been custom designed and are set against a wavy line design on the pip cards. 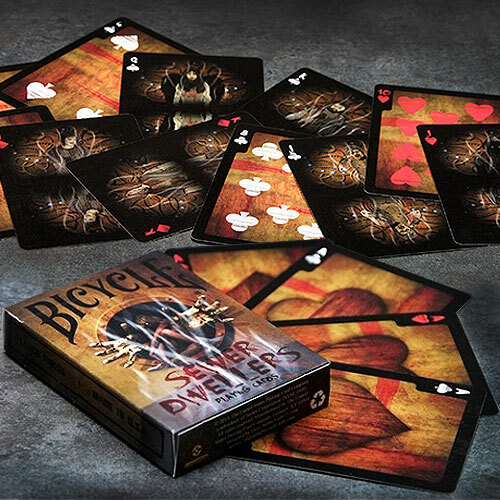 The Court Cards feature various characters & animals in Steampunk style. 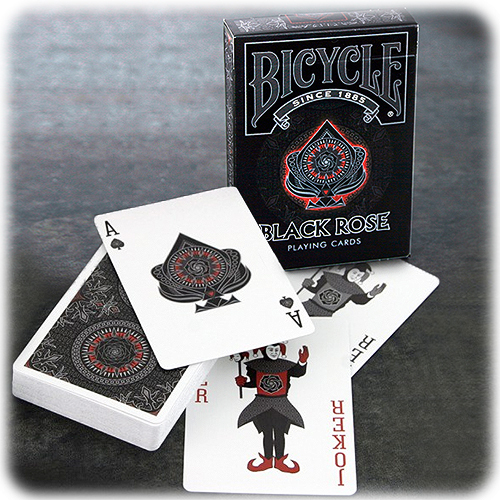 The backs feature a depiction of a clockwork mechanism and the Anne Stokes Collection logo in the centre (making them one way). Αυτό το προϊόν προστέθηκε στον κατάλογό μας την Monday 25 May, 2015.